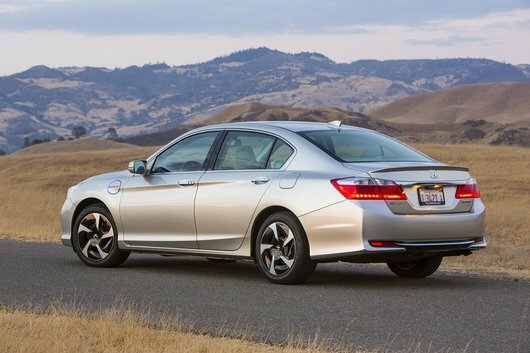 "The Honda Accord has been very popular in Canada ever since it was first launched almost 40 years ago. The Accord is the quintessential midsize sedan,..."
The Honda Accord has been very popular in Canada ever since it was first launched almost 40 years ago. The Accord is the quintessential midsize sedan, offering performance, fuel economy, plenty of interior space, lots of features, a comfortable ride and unparalleled reliability. Introduced in 2013, the current generation of the Honda Accord continues to do very well in terms of sales, and with three engines and host of features to choose from, there is an Accord for everyone’s lifestyle. Starting at 24 050$ before taxes and other fees, the 2015 Honda Accord is offered in both coupe and sedan form. Obviously, those wanting to stand out on the road and who do not need to put passengers in the back on a regular basis will probably opt for the coupe. If that should be the case, you will immediately notice how fun the Accord Coupe is to drive on twisting road while at the same time how comfortable it is as a daily driver. Back to the sedan, it offers six versions in total. 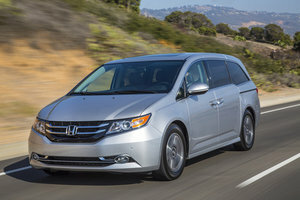 Base models are powered by a four-cylinder 2.4L engine that delivers 185 horsepower and 181 lb-ft of torque. It can be coupled to either a six-speed manual transmission or a continuously variable CVT automatic transmission. On the road, the engine feels energetic and strong, either when passing or when accelerating off the line. Offering 189 horsepower in the Sport trim, it is also quite fuel-efficient with a combined posted fuel economy rating of 7.8 liters per 100 kilometers with the CVT transmission. If you require more power, you can always opt for the 3.5 L V6 engine that delivers 278 horsepower and 252 lb-ft of torque. Very fast, the engine simply comes to life as soon as you hit the right pedal and manages to get to 100 km/h in just above six seconds. Better yet, premium fuel is not required and the posted fuel economy is 9.1 liters per 100 kilometers. It is coupled to a regular automatic transmission, not a CVT. Finally, those that are seeking a fuel-efficient midsize sedan may want to turn to the Accord Hybrid. Starting at less than 30 000$, its average fuel economy in the city is less than 5.0 liters per 100 kilometers. It offers a total of 196 horsepower from a standard four-cylinder engine combined to an electric motor. Offering features like a navigation system, leather seats, a rearview camera (standard), keyless entry with push start, heated and cooled seats, and Honda’s patented LaneWatch system which uses a camera to display your blind spot, the Accord can be equipped like a premium sedan. Come drive the new 2015 Honda Accord at Bathurst Honda today!